Check out Tobi's Free Soul Romper Short sleeve, square-neck romper with mild ruching at waist, low open back, and control strap. Wear to brunch, vacation, or a weekend getaway. Available in blue, black, and olive. 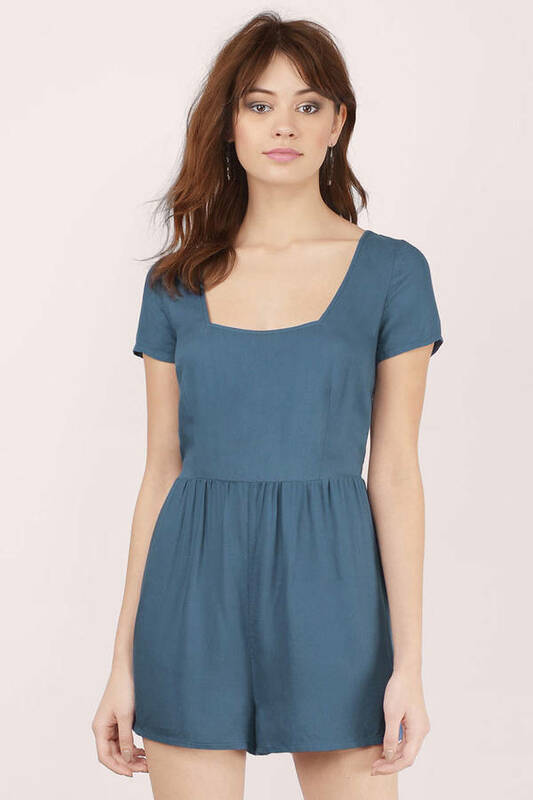 Short sleeve, square-neck romper with mild ruching at waist, low open back, and control strap. Wear to brunch, vacation, or a weekend getaway. Available in blue, black, and olive. Blue & Olive modeled on a size Small.